The Sitrans MAG 5000 is a microprocessor-based flow transmitter engineered for high performance, easy installation, commissioning and maintenance. The Magflo MAG 5000 flow transmitter is truly robust, cost-effective and suitable for all-round applications and has a measuring accuracy of ±0.5% of the flow rate (including sensor). User configurable operation menu with password protection. • 3 lines, 20 characters display in 11 languages. 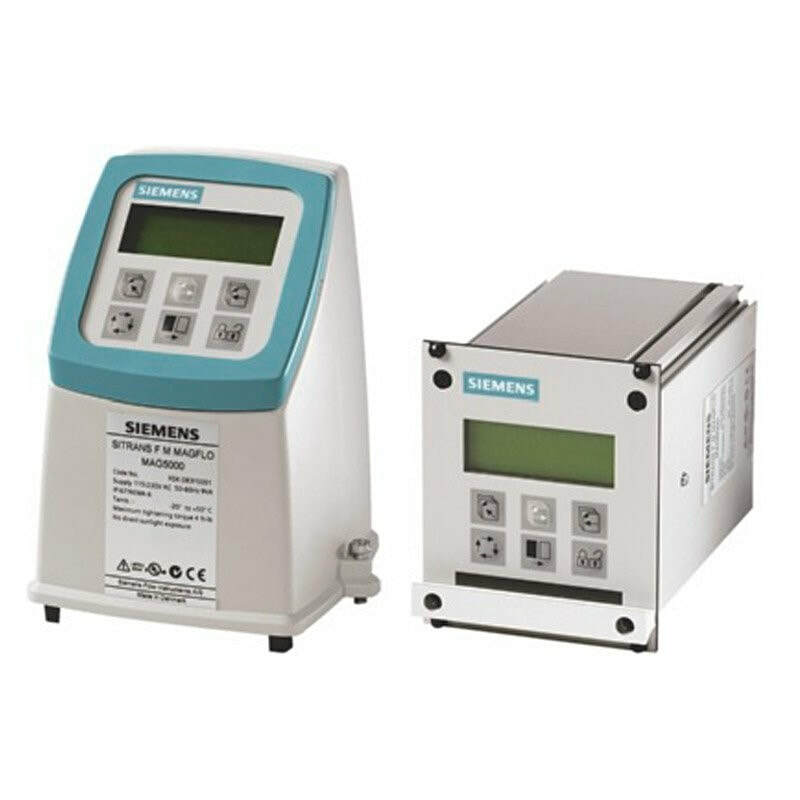 In order to make a complete flow meter, the MAG 5000 flow transmitter must be combined with a Siemens MAG 1100, MAG 1100 F, MAG 5100 W or MAG 3100, MAG3100p flow sensor. The SITRANS MAG 5000 Flow Transmitter is a high performance, general purpose flow transmitter with a measuring accuracy of ±0.5% of the flow rate (including sensor) for use with Siemens magnetic flow sensors.